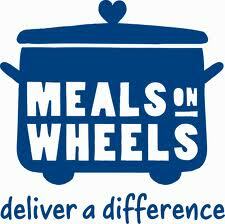 For my 16th deed, I signed up for “Prepping and Delivering food with City Meals-on-Wheels ” through New York Cares. It is run by a local Senior Center in Brooklyn, where food is prepared and then delivered. When I arrived, I was greeted by a wonderful woman named Stacy who gave me gloves, a hair net, and quickly put me to work. There were about 8 other people that volunteered and worked alongside employees of the Senior Center. I spent most of my time dishing out food into containers, which consisted of: salad, rice, tuna, and apple sauce. Everything about the process was organized, well kept, and sanitary. I then had the opportunity to walk around and deliver the meals to homes in the area. Most of the people were elderly and had trouble preparing meals for themselves or even leaving the house. The worker that delivered meals with me explained that on a lot of occasions, we are the only people they see all day. I made sure to smile, be friendly and do my best to brighten their day. In total 258 meals, 269 cold packs, over 300 fruit cocktails and applesauce were prepped, packed, labeled, and delivered to seniors for the week. Taking part in the project really made me realize the simple things I take for granted, such as cooking for myself or even having the ability to leave the home. I really enjoyed volunteering for the project and recommend you give it a shot as well! Thanks for sharing & for all that you do!